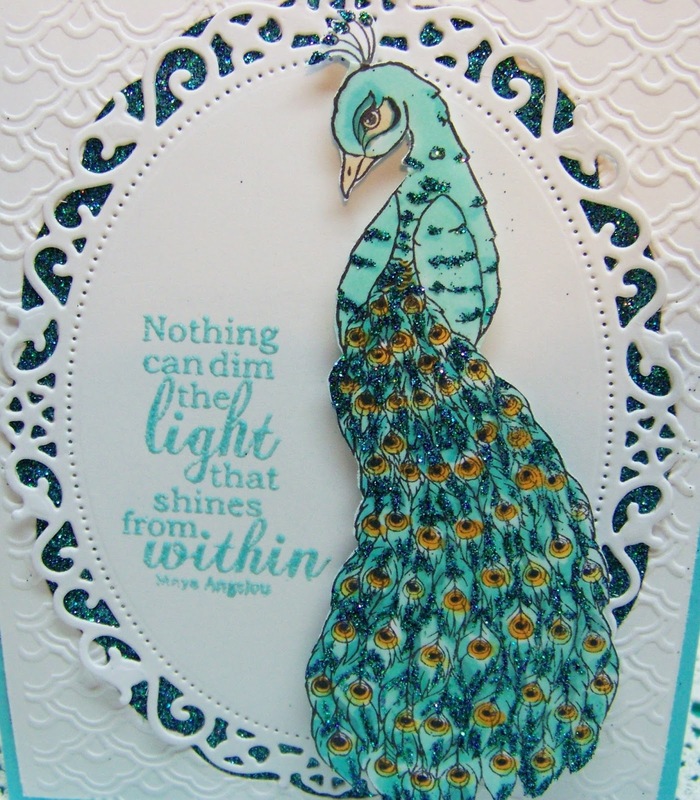 The name certainly fits this beautiful peacock! 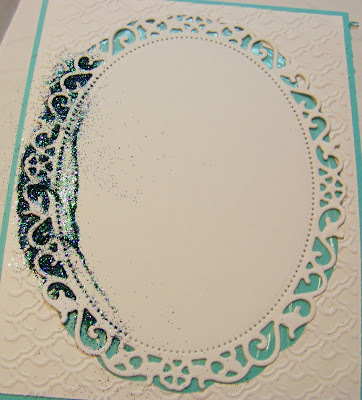 then using a Spellbinders Floral Oval die, I cut an oval from the center. which left the oval exposed and the embossed piece to a teal blue card base. which seemed to fit perfectly inside. This created the openings for my beautiful Sea Spray glitter. A Glitter brush comes in very handy to brush the excess glitter off. 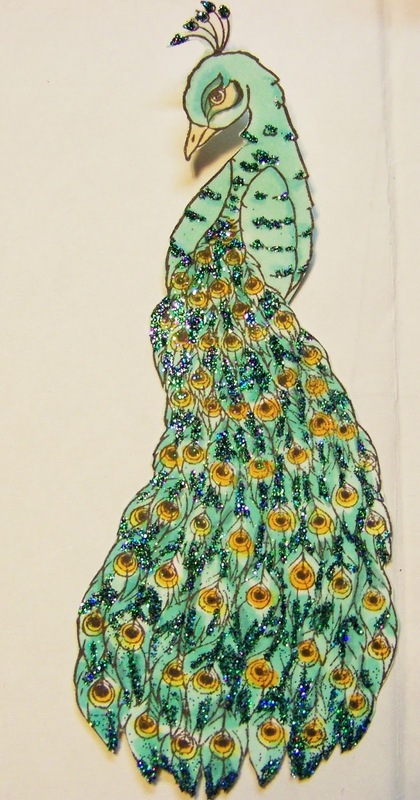 The image was stamped, then colored with Copics. I then fussy cut it out. this glitter is so pretty with it's various colors in the jar! 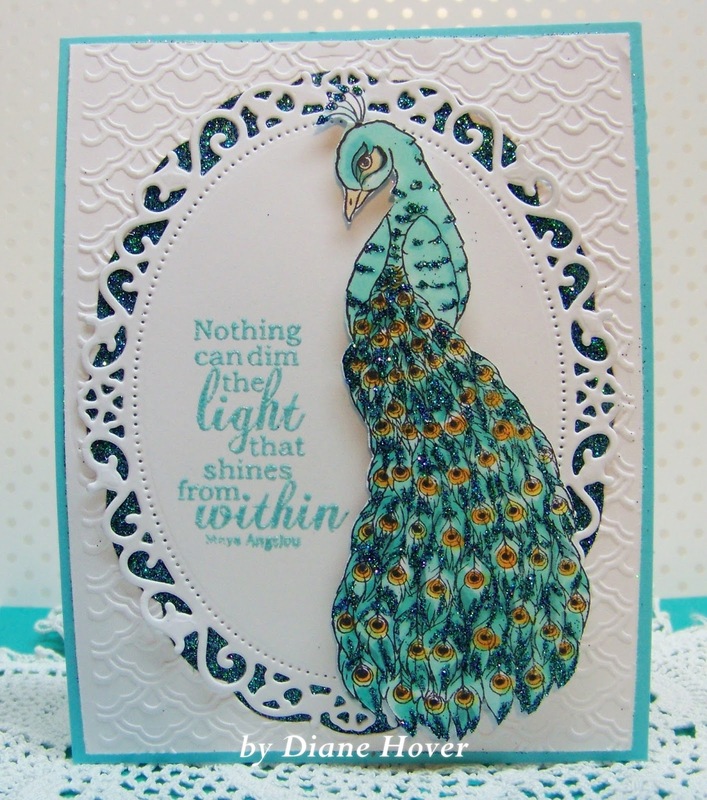 I embossed the sentiment (which is part of the True Beauty stamp set). 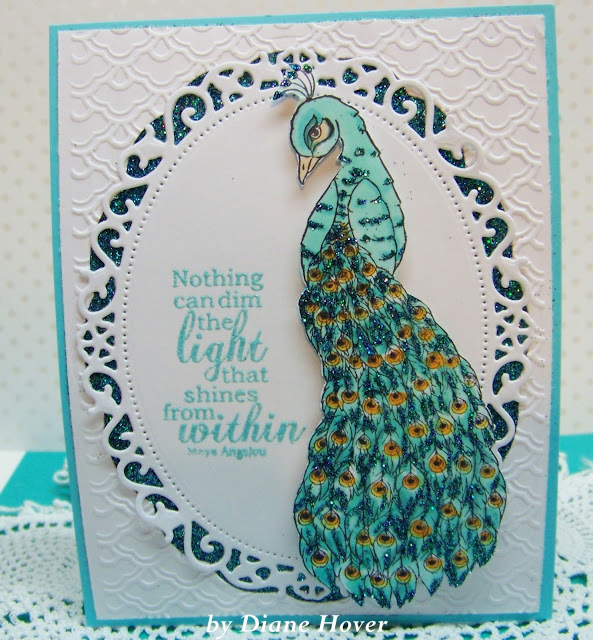 I now have a beautiful glittery card and an easy mailer at that!